We are all about the wedges this season boo! 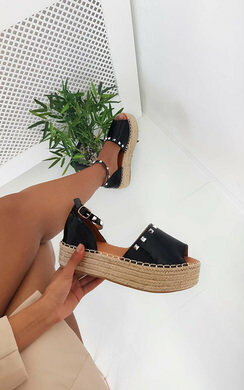 Featuring crossover straps, double buckle fastening and espadrille rope style platform! Style with a bardot dress for the ultimate glow-dess look.